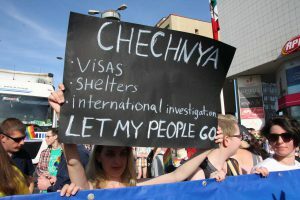 Accoridng to the report of Amnesy International, LGBTI people in Chechnya are being abducted, locked up in secret detention sites, tortured and sometimes killed – purely because of their sexual orientation. Two people have already been tortured to death during a recent revival of the crackdown on LGBTI people that started two years ago. This must stop now. People are living in fear of humiliation, torture and death at the hands of the authorities. Their passports are being confiscated and destroyed by the authorities, so even when people are released, they are trapped in Chechnya. Chechen authorities deny that gay people exist but also incite homophobic violence by telling people to murder their own family members because of their sexual orientation. This means anyone who is suspected of being LGBTI in Chechnya is at extreme risk. Read the full text on the following LINK.